3 Bedroom Semi Detached House For Sale in Dunstable for Asking Price £270,000. 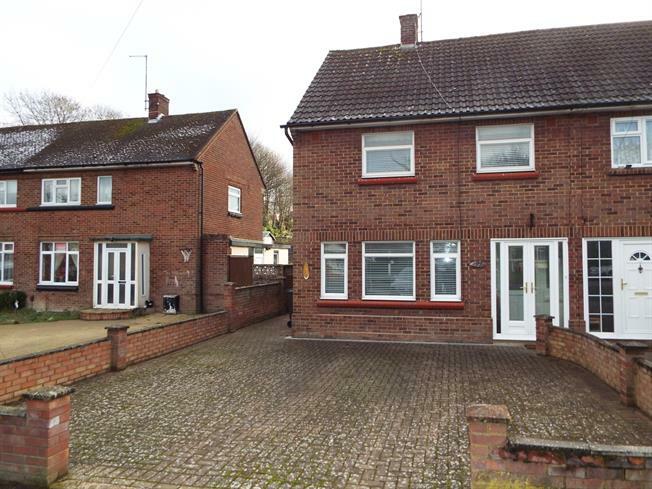 Taylors Estate Agents are delighted to offer for sale this three bedroom semi detached property situated a short walk to Dunstable Town Centre. The ground floor accommodation comprises of an entrance hall, lounge, dining room ,kitchen and a WC. The first floor offers three bedrooms and a family bathroom. The property benefits from a spacious rear garden backing onto the allotments and off street parking. A viewing of this property is highly recommended.